Showing results for tags 'words of radiance'. Just what the title asks: If you had a chance to Q&A with Jasnah, what would you ask her? (I'm thinking post-Oathbringer questions) Mine are - What was it like growing up with Gavilar and Navani as parents? As Alethkar's new leader, what do you plan to do about the new Desolation? What do you think of the prohibition of men not being able to read or write? Back in Way of Kings, chapter 19, Dalinar is having one of his visions. It's the scene where he acts as Heb, husband to Taffa, and protects his family alongside two Radiants. At the end of the chapter, the female Radiant says, “Every pasture needs three things. Flocks to grow, herdsmen to tend, and watchers at the rim. We of Alethela are those watchers—the warriors who protect and fight. 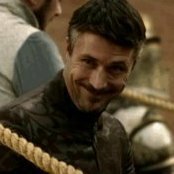 We maintain the terrible arts of killing, then pass them on to others when the Desolation comes.” When I reread Oathbringer, Kaladin says to his father in chapter 7, "You're a surgeon, Father, but I'm something else. A watcher at the rim." Kaladin never experienced the visions, thus never heard the Radiant's words. Was this poetic overlap on Brandon's part? Or just something the Radiants intrinsically feel about themselves? I was listening to Words of Radiance again on Audible and it was the scene where Kaladin and Shallan are in the chasm's during a high storm after falling in. Kaladin talks about seeing giant glowing figures walking across the shattered plains. Are they a type of spren? Is it the Storm Father and a sibling going for a stroll? I can't think of anything that large except for a Thunderclast, and I can't imagine them traveling during a high storm. What are your theories?? I couldn't find anything on here or Arcanum when I tried searching but I know someone else has had to have noticed this! WOW!!!! I'm fairly new, and not entirely sure of spoilers, where to and where NOT TO mention them in topic, so all I will say is WOW!!! There was 1 part I wasnt a big fan of, NOT.....AT.....ALL!!!!! I mean, I get why it happened, I get WHY it had to happen, the whole "Heroes Journey" and all, but you can see it coming a mile away. I find it hard to believe, after everything he had learned, what he knew could potentially happen, that he would continue down that path nonetheless. Sure, it leads up to an AMAZING redemption/growth scene, but still, lol. Gonna start Oath Bringer tomorrow, and then it seems we have quite the wait for book 4, oh well, cant be any worse then waiting for George R.R. Martin to come out with Winds of Winter!! I mean, it's only been , what, 4,5 years now? Maybe longer? I have never had to EAGERLY wait for a BS novel. I read Elantris and wasnt aware he was making part 2 so, it was already out by the time I learned it had been written. Mistborn, books 1-3, as well as the 2nd era had been released before I started that series, and Bands of Mourning came out a couple months after i had finished Shadows of Self. Waiting for Bands of Mourning wasnt bad at all, having just read 1-3 of the 1st Era, and 1-2 of the 2nd era, I was experiencing a bit of "Scadrial" overload as it was, lol. That being said, book 4 in the Stormlight series has no hard date yet, but I've read that it has a tentative release date for the fall of 2020. Again, not having had to wait for any of his books in the past, how accurate are his dates? How have they been in past releases? I'm sure he cant deliever ALL OF THE TIME, things come up, a chapter or so needs rewriting, he has a family/private emergency that comes up that delays progress, it happens, but, again, with all that being said, how accurate are his dates? Does he usually deliever close to the given date? If he says fall 2020, will it be winter 2020 at the latest, or, in the past, had he said winter, but ultimately postponed release untill say, idk, late spring early summer of the same year, 4-6 months overdo?!?! Hello all again. I have not come to revive the debate over Kaladin killing Szeth or not. I have come to ask afew question I was confused about, and when I looked over 17th Shard, I couldn't find them answered. 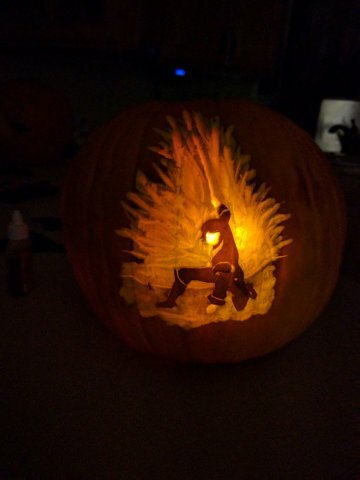 How does Nale revive Szeth-son-Neturo? We already know that bonding live spren can allow you to heal with Stormlight, so, can bonding deadeye spren (dead Shardblades) allow you to heal with Stormlight or not? Can you heal yourself using Stormlight in an Honorblade bond? If yes, why does Szeth-son-Neturo say that you can't in the WoK Prologue? I wholeheartedly agree with this statement of Hoid. In that sense, Sanderson had been my favorite storyteller. He had broaden my mind and made me rethink my current perspectives of the world's workings especially when I read SA. Was there ever a point like that for you? Mine is certainly Jasnah's statement about the role of a woman. It is after reading the epigraph that I realize that it is truly absurd to even think that there is a certain "role" we must live up to. It is a refreshing persepective and certainly something that I want to adapt as my own. Hello All As the wait for Book Four continues, I’ve begun to formulate various thoughts and expectations for how the rest of Stormlight should progress. Now, I have been a lover of the fantasy genre for quite some time, (ASoIaF, LotR, etc.). That being said, I’ve grown tired of the altruistic “good v. evil” fantasy that comes up time and again. Thus far ASoIaF has not really fallen prey to that, but it might depending on the course of the last two books. The show Game of Thrones looks to be heading in that direction based on the ending of Season Seven. One of the main drawbacks I have had with Stormlight is the predictability factor. I am certain that the series (in its current state) will end with Roshar emerging victorious in the brutal struggle against Odium. But Sanderson could subvert all of that, in some ways… End the First Arc (Books 1-5) with a “Last Battle” of sorts between Roshar and Odium. At the end of Book Five, Odium has either been destroyed or incapacitated in such a manner that he is no longer a viable threat to anyone. I believe that there is enough time for this to be accomplished. For one thing, via Venli and the other parshmen, discord, doubt, and anger has already been forged against Odium. With a focus of Venli and Eshonai in Book Four (I’ll call it The Rhythm of Storms. 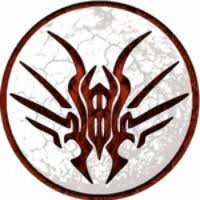 It works well on an ominous note while staying true to Parshendi communication), the “Voidbringers” will slowly start to join the Radiants as the Unmade and Sleepless come into full view. Book Five (Skybreaker) will be critical as it covers a battle that sweeps the entire continent. As Szeth is the focus character for Five, the core of conduct with the Radiants and the war against Odium will come to a head and be called into question. Book Five ends in such a regard. Dalinar dies and becomes a new Herald, and is visibly shaken as to where this will lead him. Hoid welcomes him to the Tranquiline Halls. Granted, this is a significant risk, both from a publisher and author standpoint. 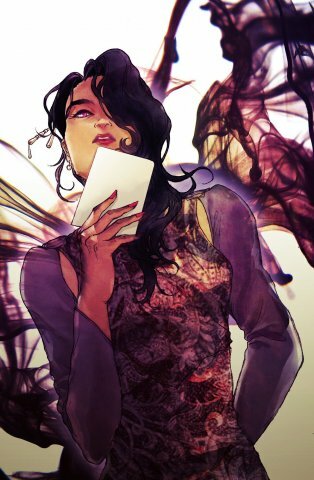 Tor may have issues with a large ending in the middle of the series, and the lack of readership and interest that may result. The Second Arc (Books 6-10) is set 30-45 years after the end of Five. 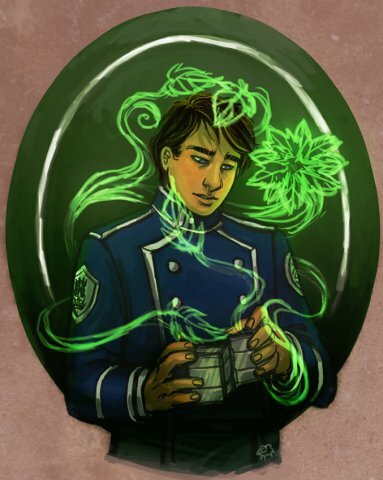 The characters who are alive, (most likely Kaladin, Shallan, Lift, not Adolin) are insanely corrupt, and a shadow of the young heroes we once knew. The seek out the destruction of all who cannot stand against supernatural forces. Honor, aka the Almighty, was resurrected by the Radiants in between Five and Six, in an attempt to secure everlasting peace. A war begins to brew, this time with the Three Realms: Physical, Cognitive, and Spiritual. We saw this for a bit at the end of Oathbringer, but now the melding is permanent. It is absolute chaos in what should have been a happily ever after. The Second Arc will follow a conflict between Honor, Cultivation, and other Cosmere forces: Braize, the Tranquiline Halls, etc. It’s hard to map out the exact details, but this second half must show the fallacy and corruption of the true power the young foolhardy heroes were given. Sanderson could end the predictability halfway through! Thanks! 1, would you rather be at the mercy of A, a high storm (with no shelter) or B, a chasmfeined (or however it's spelled) 2, would you rather only being able to own A, shard plate, because your sword is already pretty dope or B, shard blade, because duh 3, would you rather be a A, deceitful (yet rich) light eyes or B, humble (yet poor) dark eyes 4, would you rather be besties with A, Lopen or B, Rock 5, would you rather be stuck with A, chasm duty or B, Wit at a party Put your answers below!! Ever since I read Warbreaker, I have been wanting to re-read the chapters of the storm light archives, where "Ziehl (is that spelled right?)" And "azure" are in it... Because, ya know... But, I listened to the 3 storm light books on audible, so it's much harder for me to find what those chapters are, much less which books they even begin lol If anyone knows what chapters I'm looking for/where to find them, then plz let me know, thx!! Can somebody draw some fanart for me? I have absolutely no talent in art, but I want a specific peice of fanart made. This might be a bit hard to explain, but I'll try (this is based on a scene from warbreaker and one in words of radiance) - So, on one side of the page, Shallon is trying to turn the stick into fire, and it's resisting, (you may have you look back at the scene to see how it described her here), then on the other side of the page, Vivenna is trying to awaken the rope (in the scene where she's cornered by lifeless, once again you may need to look over the scene to see how it describes her)... You could change it up if you want, like make them back to back or something, whatever you want. If you do decide to do it, then can you put it as an attachment to a reply on this discussion, so it's downloadable? Thanks!! 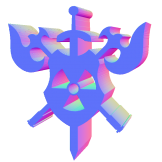 OK so for most of Words of Radiance We see things like this cool symbol whenever Shallan has a PoV chapter: Whenever we get one of her flashbacks we see something like this: With inverted colors. However... It wasn't always like this. Below is Shallan's last PoV chapter (chapter 7) Look familiar? Yes. Look at the Prologue, which features Jasnah: It has the same picture. Why did Shallan's picture change from a view of Shadesmar (Better question: it's shadesmar, right?) to a swirling patten? And I know what some of you may be thinking, but Pattern is described as a set of lines - not curves (I am 87.32% sure). So I don't think that its Pattern. Did it have something to do with the events of Chapter 7? Possibly. 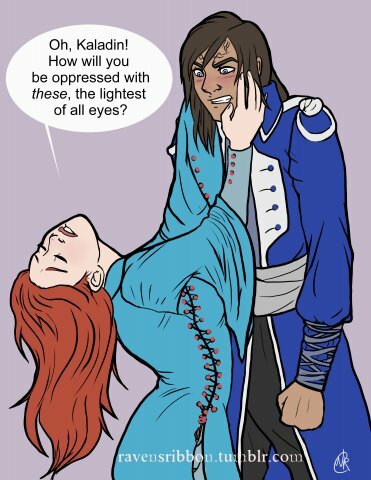 In this chapter, Shallan lightweaved (not for the first time, though, right?). She also soulcast an ENTIRE ship into water (once again, not for the first time, right?). You guys are smarter than me and maybe even discussed this already. What are your theories? A broken soul has cracks into which something else can be fit. 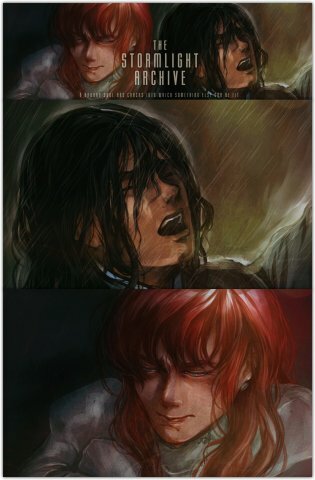 Emotional Kaladin & Shallan. Is Tyn's name a pun? She's a counter for Shallan, she's ... Tynfoil.